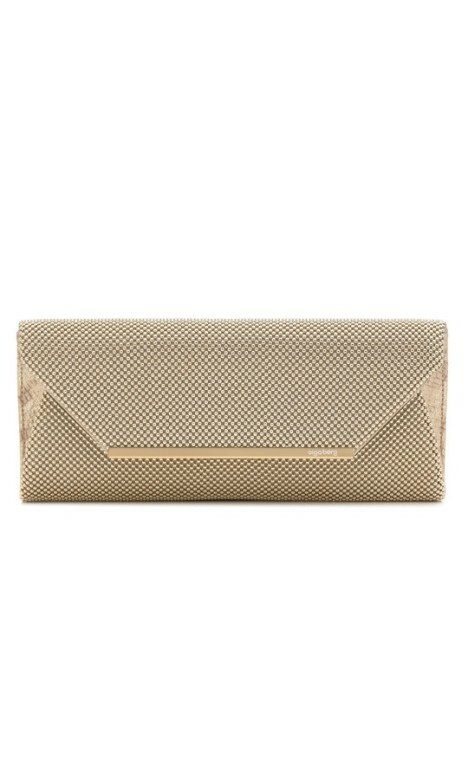 This envelope clutch is perfect for storing all your essentials for a day or night out! Large and roomy, it features a reptile embossed gusset with gold hardware. It comes with an optional shoulder chain for added versatility. Add this to your floor-length gown, your simple cut-out midi, or your springtime floral number for a touch of flare to hire for an upcoming wedding reception! Dress it up with some understated gold accessories to tie your look together, and stun at your next day out! For more outfit inspiration, check out our 'Rent a Wedding Ceremony Dress' customer story!